A doughnut or donut is a type of fried dough confectionery or dessert food. Add sugar, butter and sour milk and beat well. Add to the batter mixture. Using a wooden spoon and mix the dough. Use the balance of the flour to make a nice soft dough. 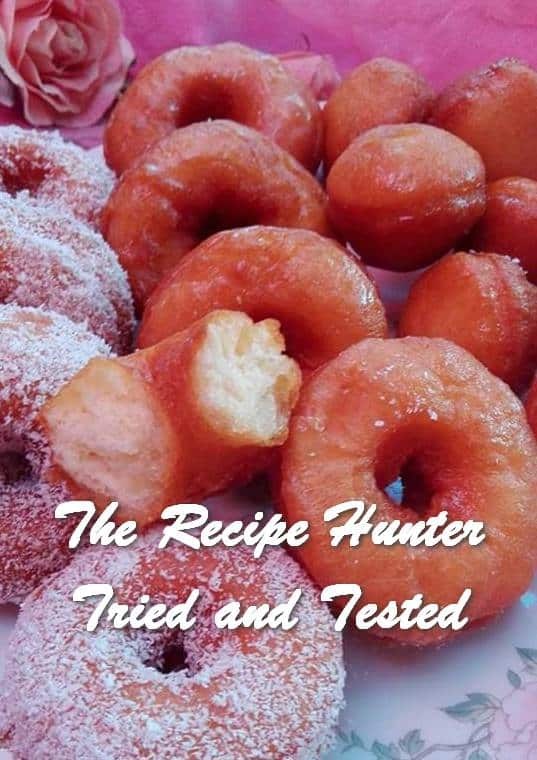 Use a doughnut cutter and fry in deep oil, on medium heat. Once brown on one side turn, only two turns. Drain on paper towel, and dip in warm sugar syrup.